Posted in: Administrivia. Tagged: A Heart Of Gold: Tribute To Woods Of Ypres, David Gold, Eclipse Eternal, Grey Skies And Electric Light, Into Eternity, Joel Violette, Rae Amitay, Thrawsunblat, Woods Of Ypres. 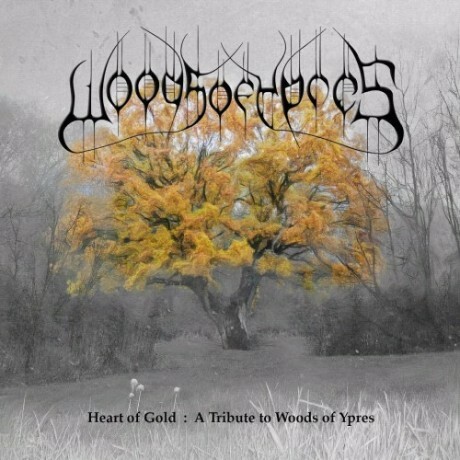 The tribute album dedicated to Woods Of Ypres frontman David Gold – who passed away in December 2011 – entitled A Heart Of Gold: Tribute To Woods Of Ypres, is now available for digital download via Bandcamp.com at this location. Fans can purchase a CD hard copy of the album by sending $20 via PayPal with your name, mailing address and email to DavidGoldTribute@gmail.com. Posted in: The Interviews. Tagged: Beach Road Studios, David Gold, Joel Violette, Kittie, Morgan Lander, Rae Amitay, Thrawsunblat, Woods 5: Grey Skies & Electric Light, Woods Of Ypres. Woods 5: Grey Skies & Electric Light is arguably one of the strongest works in Woods Of Ypres frontman / founder David Gold’s catalogue of music. It’s certainly his most accessible album. Sadly, it also marks David’s final journey. Killed in a car accident mere months before the official release, David never had the opportunity to enjoy the praise or consider the criticism of what is the most adventurous album of his career. And despite the accolades heaped to the sky, the simple truth is that not all diehard Woods Of Ypres fans will like it. Grey Skies & Electric Light is loaded with the doom and gloom they’ve come to expect, but the way it’s presented is much different from the revered Woods 3 and 4 records. 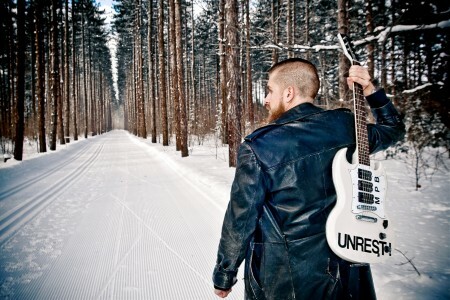 David’s clean voice dominates the new production over his death metal growls, the song arrangements don’t have the crushing density of its predecessors, and it’s loaded with brazen hooks big and small. Not what some expect of the blackened doom underground cornerstone of the genre. Current reactions indicate, however, that the majority of followers consider Woods 5 to be a masterpiece, and not merely as a show of respect for the fallen.